Valentine’s Day Mini Sessions Now Available! Want a new portrait of your little sweetie and custom-designed Valentines for school or family? 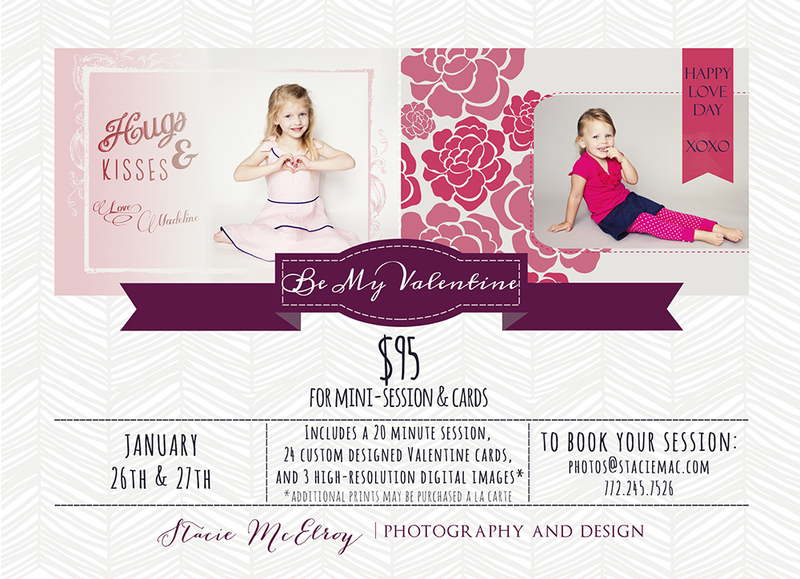 Valentine’s Day mini-sessions are now available for booking. Tell everyone you know! This entry was posted in Announcements, Promotions on 5 January 2013 by StacieMac.